The Husky Triathlon has become one of Australia’s most loved iconic of the Long Course events. 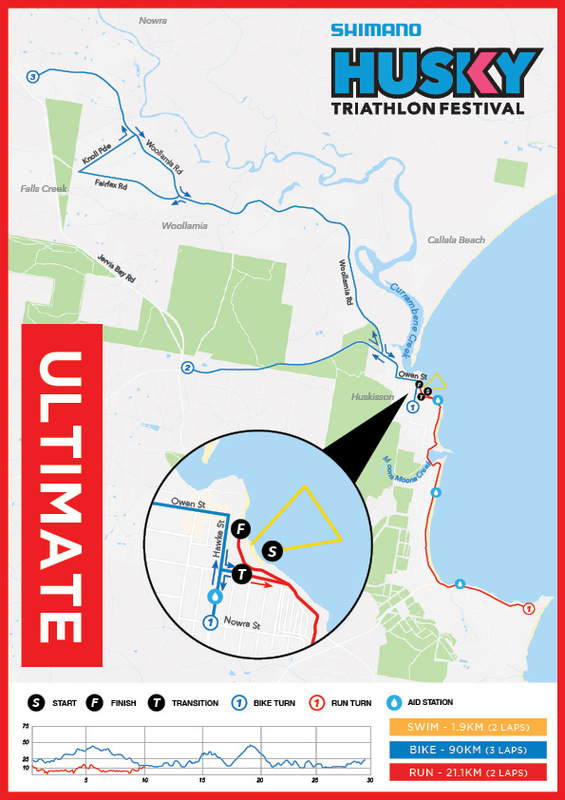 With some of the nation’s finest athletes sizzling the shores of the Shoalhaven, the 2018 Event will be the second Ultimate Triathlon Championship. Set on the shores of Jervis Bay Marine Park, Huskisson comes alive when over 5000 fabulous athletes hit town for a weekend of multisport festival fun. Male, Female & Mixed teams, Clydesdales & Athenas will be recognised on the podium and then we have ‘Race Ya Mate’ which has no podium prizes. “Open/Elite” category – must hold a pro licence, or to gain consent from race organisers (be able to prove comparable times to pro triathletes). “Premium Wave Individual” category – is for those who want to make sure that they get an early race start. There are no age group podium prizes available if you participate in this wave. This wave goes off directly behind the “Open/Elite” wave. Minimum age for individuals – 18 years. Minimum age for Team members – 17 years. Both at 31st December 2019.